Content leaders have many strengths. They not only know the depth of their content, but they understand how it looks when sequenced both horizontally and vertically with their teachers. Pedagogy is a given when it comes to teaching their standards…possibly equal to or second to their teachers’ understanding the content themselves. But with all their strengths, many content leaders may be at least a little deficient in being able to identify relevant technology to support their content standards without the help of vendors. While vendors can be helpful, you run the risk of having a biased and/or limited view of what is available. 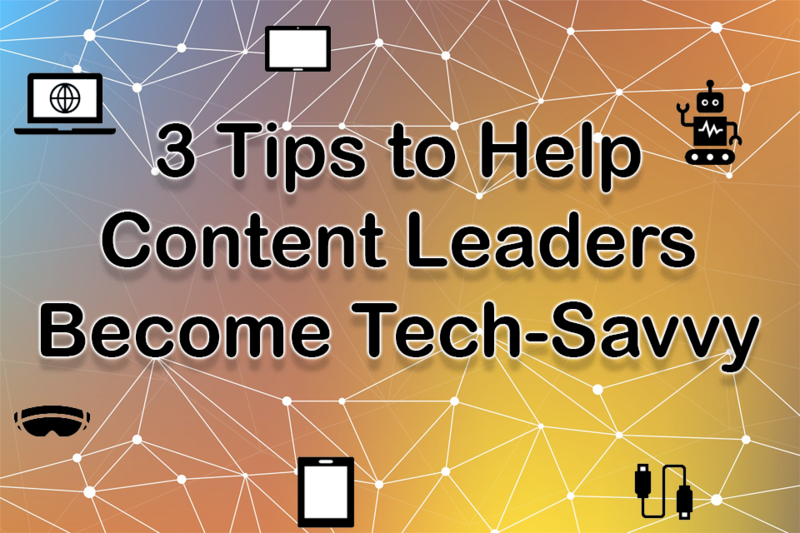 Here are three tips to become a more tech-savvy content leader. It is easy to identify those teachers who are the innovative ones. This doesn’t necessarily mean they are the tech-savvy teachers, but they are typically the ones who have a firm grasp of the content and discipline and can focus on adding richness to their lessons to make learning more exciting (and possibly boost test scores). Consider creating a round table discussion that meets once per six weeks to ask this group for their input. Ask them to explore different apps, devices, and other tech tools that can be (easily) used to help differentiate the content, reinforce main concepts, or capture learning in a possibly better way than they are currently doing. Give them permission, and possible the challenge, to look at tools and apps that may be outside their content area but can be adapted with ease for a great fit. You may find that this feedback and insight will also be great information to share with the instructional technology department, especially if they are wanting to implement technology relevantly in curriculum areas. When asked what is a teacher’s favorite app for ___________ (fill in with content area), you may find that many answers are apps that are geared toward specific content standards they teach. That’s great when you are teaching those standards. For the rest of the time, consider what open-ended apps or tools are available that might allow you to support many of your content standards. Open-ended apps lend themselves to being used more often and are great when differentiating with students. Having a variety of these open-ended apps will help ensure that students don’t get bored. Even if you use Kahoot, you definitely don’t want to get to the point where, upon hearing that the next activity will be Kahoot, a group moan occurs and at least one student mumbles “Kahoot again? !” If you are new to using open-ended apps, consider looking for apps and tools whose main function is to record the student (video, audio, screen, etc.). You will find that these allow you to keep a freshness to your lessons that one-trick-pony apps and tools may not. Hardly any one will deny that conferences offer great learning experiences and provide more selection for the price of attendance. As such, many content leaders depend on regional or state conferences within their content area to help them keep up with best practices, updated content standards, and the latest trends. But with all those benefits, you are still limited to folks who are thinking within the box of your content area. You don’t have to give that up; those conferences are definitely helpful and provide like-minded conversations and connections with other content leaders. To assist in becoming more tech-savvy though, consider attending a conference whose main focus is learning with educational technology. There you will find people from all content areas sharing their ideas of tech tools to support their (and other) content areas. And, because the presenters may be ed tech enthusiasts, they may tend to present at these types of conferences as opposed to the content-based conferences, even though they are in favor and support that specific content area. 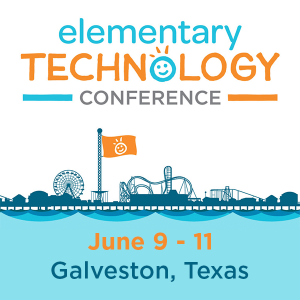 If you have not taken the opportunity to attend an educational technology conference, then considering attending the TCEA Convention and Exposition. For a great price, you will find more than 1,100 sessions offered with specific strands identified to help you follow the flow of sessions that will be most meaningful to you. This conference takes place during the first full week in February with very targeted, longer sessions offered on Monday and Tuesday, while Wednesday, Thursday, and Friday provide the full conference experience. You can find resources for attendees at https://convention.tcea.org/attendees/resources/ . Become a more tech-savvy content leader this year by following these three simple recommendations. If you need help with any of the three, be sure to shoot me an email at [email protected]. At TCEA, we are here to support you and help ensure that you and your students have an amazing learning experience.